When it comes time to playing outdoors and riding bikes all of my children have preferred riding their scooters over riding their bikes. I even will admit to riding their scooters in the past (in the driveway). 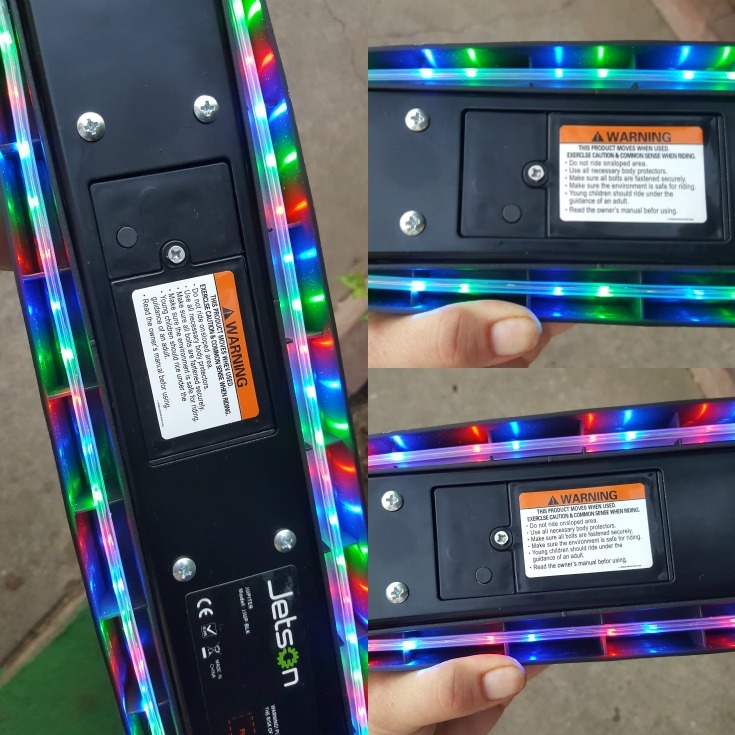 Jetson recently sent me one of their Jupiter Kick Scooter to review and I LOVE that this scooter LIGHTS UP! 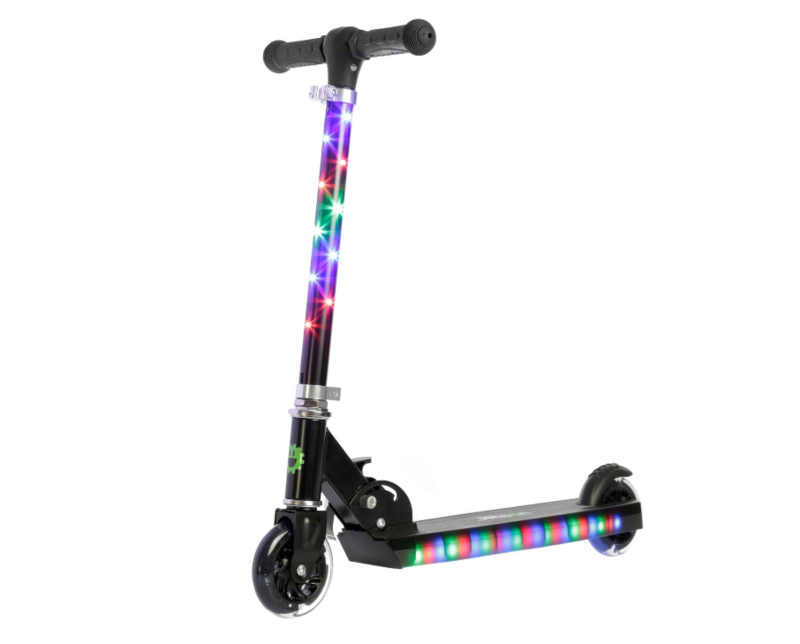 The Jupiter scooter has 100 multi-color LED lights in the handlebar stem, the deck and even the wheels. This is the first scooter I have seen like it. There is also 3 different light settings that you can choose from with the push of a little button on the bottom of the scooter. You can make the lights blink, wave or pulsate with different color patterns making this fun to ride right before it gets dark! Another awesome feature of The Jetson Jupiter Kick Scooter has been designed with an easy to fold up mechanism that makes the scooter easier to carry or store which will also save space. It only ways 6 pounds so it is perfect to take when traveling. 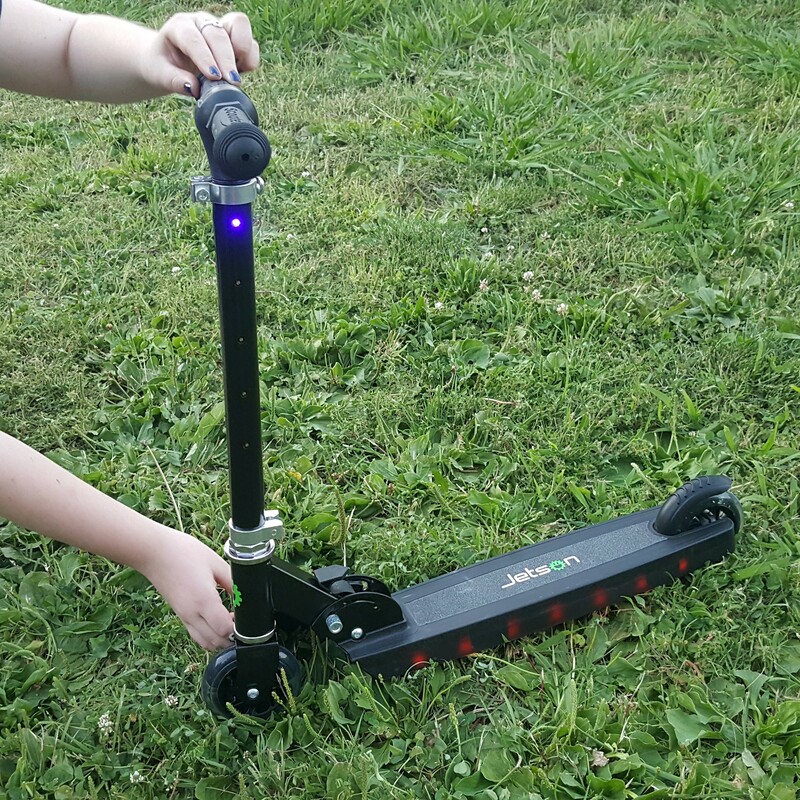 The Jetson Jupiter scooter has been designed for children ages 2-8 and can be adjusted to your child’s height by using its expandable handlebar stem that extends from 20”-29”. Since safety is important the scooter also features an easy to access rear fender foot brake to help ensure a secure and full stop. This scooter made the perfect birthday present for a little princess who wanted a scooter for her birthday this month. The birthday girl couldn’t wait to get on the scooter and try out her new scooter with the flashing cool LED lights. The scooter was definitely a hit when it came to opening presents!